If you feel there is sexism in the work place in 2017 (and yes, of course there is) imagine being a female sculpture in the 19th Century. 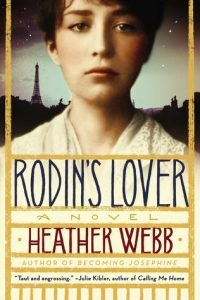 In her book “Rodin’s Lover” author Heather Webb imagines the life of Camille Claudel, a talented female sculpture striving to make a name for herself in the male dominated art world of 19th and early 20th century Paris. We have a contemporary female sculptor Monika Tomaszunas in our Art Academy bookclub so fittingly she suggested this novel. You are transported back in time to a world of difficult challenges for women who wished to embark on career in art or indeed any career outside the home. Very few colleges admitted women, very few galleries were willing to display artwork created by a female hand. Women even had to apply for a permit if they wished to wear trousers. Full- length skirts are not very practical, I imagine, climbing up and down ladders with buckets of plaster and clay all day in a studio. Camille Claudel, however had some luck at least initially. 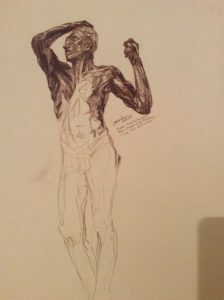 Though her mother was emotionally distant, she had a loving and very supportive father, who commissioned private art tutors for her when he recognised her drive for sculpture. In time she meets and apprentices under the well known Auguste Rodin. A blessing and curse as she also becomes his mistress. We all know her fate and if you don’t I’ll leave no spoilers. 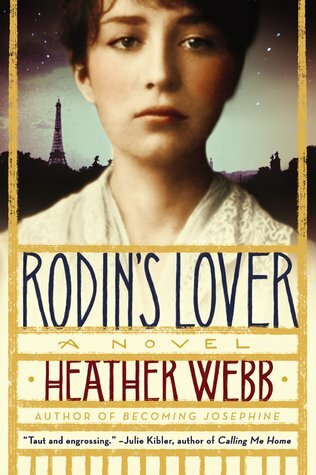 Of course this is Heather Webb adaptation of the character. I admired this characters dedication to her art but found her unlikable as a person. She seemed only interested in others as far as they could serve her and was often unnecessarily rude and difficult to get along with. However she did not deserve her end in life. Grab the tissues towards the last chapter, it ain’t pretty.